Travala has been expanding and changing internally for the best possible outcome of the project and we would now like to confirm a key role addition to the core team as we move forward. Tam is responsible for overseeing all technical aspects of the project and will establish the company’s technical vision and leads all aspects of the company’s technological development. 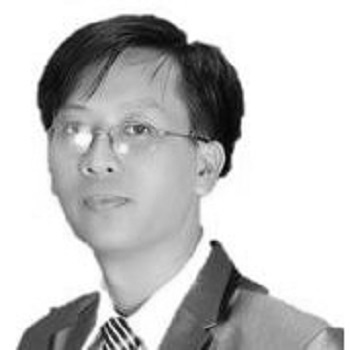 Mr Tam has 17 years work experience with international companies in various managerial roles such as IT Director, IT Manager, Vice General Director and COO. Mr Tam has an in-depth knowledge and experience in real world leadership, information and communications technology, business management, business development and project management. 3. MBA (English program) associated program between Foreign Trading University (VietNam) and Shu-Te University (Taiwan) . IT Infrastructure: Networking/system (routing protocols, security, OS (Windows server 2008, Linux, AIX, Sun Solaris), DC, DNS, DHCP, File Server, Mail, ..), Hardware (IBM system X, System P, Sun System, SAN storage, Switch, Router, Firewall…), Data Communication (FTTH, Megawan, MPLS, Leased Line), PBX (Simen), Data Center, Network Monitoring system. Software Developing/Programming: Analysis & design (UML), programming languages (VB, C, C#. net, asp.net, php). Database administration & design: SQL Server, mySQL, Oracle. Website Infrastructure: Web Server Administration (asp.net, php), Web Portal/ MS sharepoint portal, Stock information system, CMS. Business administration: human resource management, financial management, marketing management, risk management, strategy management. E-business model: E-commerce, internet marketing, email — marketing, sms-marketing. Management skills: Planning, monitoring & controlling, organization, people management (recruiting, training, coaching, developing, motivating, delegating,..), decision making, culture & behavior of organize,… strategic management, budget management, IT Asset Management. Project Management Skill: Strong project management skill sheet.